A.J. Betts Hive introduces an unfamiliar world that is strange and perplexing and as a reader it takes time to build a sense of orientation within this story, but it’s well worth the effort. Hive is the place where Hayley abides among people who have a shared sense of community and purpose, where social structures are clearly determined and everyone knows their place and function. But Hayley is not like her peers. Nor does she pine for the kind of fruitful courtship that would help populate her people and reinforce her social role within her society. Hayley’s sensibility is one of innocence and playfulness, where the natural world offers a rich source of rapture and engagement. But when migraines cut through her sense of harmony and equilibrium, her effort to find relief brings her into contact with confronting truths that destabilise her world view. And with a single drop of salty water seeping through a crack in her awareness, many questions arise that challenge the very structure and meaning of her world. 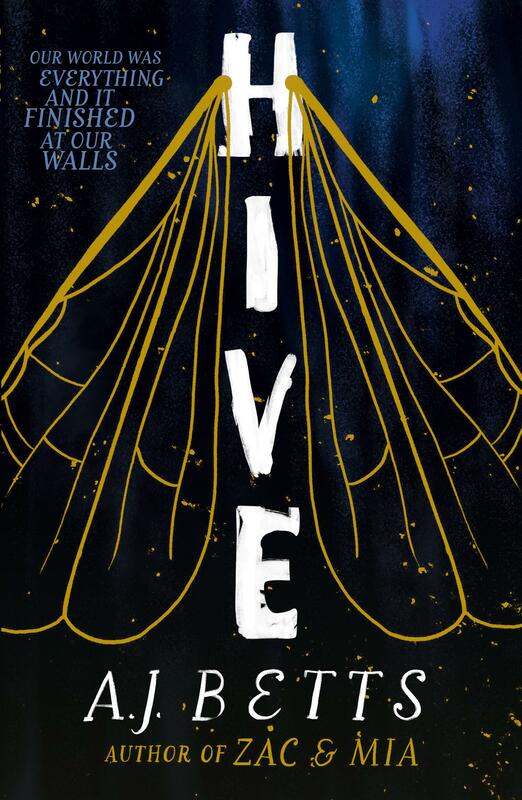 Hive is the first in a dystopian duology that gives form to an innovative world, structured by bee-like social hierarchies where conformity and instinctive participation are the rule of order. There is no rule book to help those who would defy order within Hive. As each breach of truth permeates Hayley’s reality, the certainty of her world dissolves beneath her, causing a free-fall into the unknown. This is the trajectory she must follow as her fate propels her towards a resolution that feels disorienting and unexpected. It’s a compelling end to a tale that promises more to come.